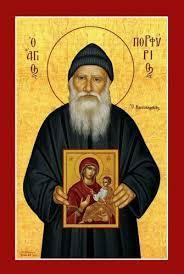 The Elder Porphyrios was canonized in 2013, and commemorated on December 2nd, on the anniversary of his repose in 1991. His life of spiritual ascesis on Mount Athos and the surrounding communities is spiritually illuminating, incredibly extensive, impacting the lives of many others around him. Please click here to read a biography of his life. In the midst of struggles related to his ascetic life, on the 12th of October 1940 he was given the duty of temporary priest to the Chapel of St. Gerasimos in the Athens Polyclinic, which can be found on the corner of Socrates and Pireaus Street, close to Omonia Square. He would serve in this role for over thirty years ministering to many, and even after active service, continued to make visitations until 1973. Please take time to read his life, and writings that capture it. Through the prayers of St. Porphyrios, may God strengthen the ministry of our chaplains ministering to those who are sick, imprisoned, and suffering. OCA Chaplains gathered together for the first time during a pastoral care event. 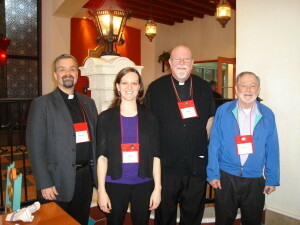 Five chaplains gathered together for breakfast during the Spiritual Care Collaborative in February, 2009. Click here to see the photos and write-up posted on the OCA Website. 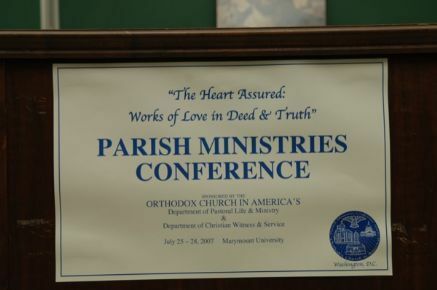 In July 2007, the Departments of Pastoral Life and Ministry, Church Service and Humanitarian Aid together hosted a Parish Ministries Workshop in Washington, D.C. Institutional Chaplaincy was represented through Fr. Steven presenting with Click here to see photos from this conference, posted on the OCA Website. Click here to see photos from the first gathering of military and institutional chaplains in November of 2006. 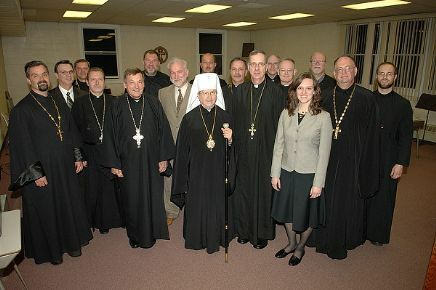 This gathering was held at St. Tikhon's Seminary. Please click here to read then Metropolitan HERMAN's address from that conference. Both the photos and the address were posted on the OCA Website.